In this bloggy you will learn about me and get to know me through my crafts. 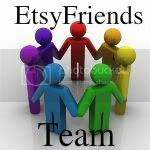 I sell my stuff etsy but here is where i talk about it. As i love my craft there is often so much i want to say to whoever is out there that is intersted. How i make stuff, what i think... what i like. This bloggy is also about me and bits and pieces of my personal life and feelings that i see fit to blog about. What would you like to see more of in my etsy shop? This is a Flickr badge showing public photos and videos from mypapereden. Make your own badge here. I'm not American... but this is still too big to ignore. Can you make origami waterproof?